October is a time for pumpkins, fall, and eager trick or treaters. When you think of October, you don’t usually think of pink. However, pink is a special color in October. It is National Breast Cancer Awareness Month, and it is time to show love for those who have and are currently struggling with a deadly disease. According to experts, it is estimated that 266,120 women in the United States will be diagnosed with invasive breast cancer this year (“Breast cancer: Statistics,” 2018). Though increased scanning and breast cancer awareness has dropped fatalities by 36 %, approximately 41,400 men and women are expected to die from breast cancer this year in the United States alone (“Breast cancer: Statistics,” 2018; “October is breast cancer,” 2017). Fighting cancer can be a terrifying experience—one that leaves its marks in every patient. There are pains that most breast cancer patients and survivors endure, but there are ways that anyone can help. Social support can be tremendous to the physical and emotional recovery of breast cancer survivors. In 2010, researchers Julianne Holt-Lunstad and Timothy B. Smith analyzed 148 studies and 308,849 participants to uncover a shocking mortality trend. Across all ailments, participants with stronger social relationships are 50% more likely to survive than those without (Holt-Lunstad & Smith, 2010). Having a secure social support for patients can significantly improve their chance of beating breast cancer, but the fight with cancer continues even after treatment. After treatment, it is common for breast cancer survivors to feel varying levels of emotional difficulty, sometimes becoming highly distressed. Cancer treatments can throw off the body’s natural hormone levels and leave physical scars that are a source of deep insecurity. 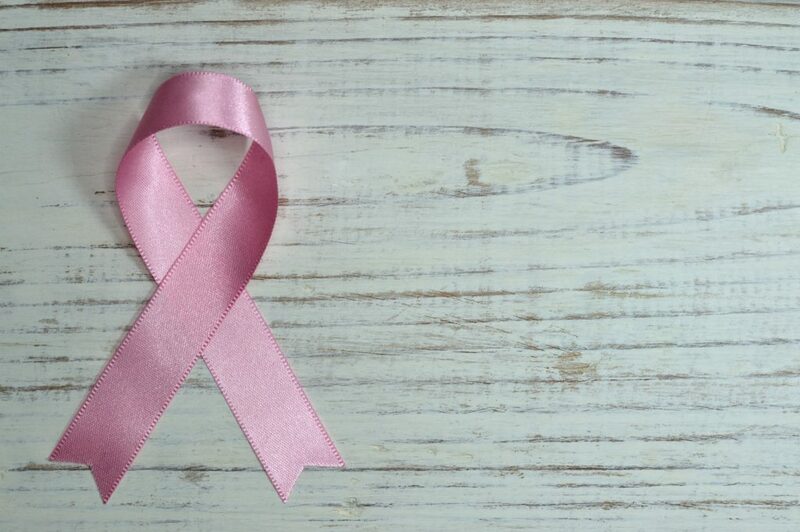 While the physical impacts of breast cancer tend to affect younger women more, older survivors have a significantly harder time coping with stress (Deniz & Fatma, 2018). Many men and women are scared that their cancer will re-emerge and concerned about the shift in relationships that occur during their treatment (“Emotions and breast cancer,” n.d.). These stresses often manifest in insomnia, anxiety, and depression (Ye et al., 2018). Although breast cancer fighters and survivors go through many rapid changes that degrade their emotional health, social support can come in many ways and it can help them through this difficult time. Breast cancer patients and survivors often benefit from spending time with family and friends. In fact, a recent study participants who received social support from their families had more effective stress management that those without (Deniz & Fatma, 2018). Specific support groups and religious groups are known to boost emotional wellness as well (“Emotions and breast cancer,” n.d.). In addition to support from a person’s social circle, professional counseling can do wonders for breast cancer patients and survivors. Counselors are trained to help a person improve their self-awareness, rebuild confidence, and learn ways to cope with stress. One particular strategy, cognitive behavior therapy, has been clinically shown to be effective in increasing the quality of life. Cognitive behavior therapy is a short-term, impactive therapy method that focuses on strengthening healthy mindsets. The goal is to eliminate the anxiety and depression breast cancer patients and survivors feel. Counselors typically listen to their clients and then provide motivation and social strategies that encourage patients to think positively and try new stress management techniques. This method has been shown to help breast cancer patients and survivors by preventing them from laminating the past and reducing their fear for the future (Ye et al., 2018). Breast cancer can be a terrible source of fear for patients and survivors. However, there is something that we can do about it. Whether it is a donation to charities that support breast cancer or volunteering your time at the hospital, you are making a difference for someone you normally would not have. Talk to loved ones who struggle with breast cancer because your care can change everything for them. Make October a month for pink; pink with love. Deniz, O., & Fatma, T. A. (2018, June 8). An investigation of the relationship between social support and coping with stress in women with breast cancer. Retrieved from Wiley database. Holt-Lunstad, J., & Smith, T. B. (2010, July 27). Social relationships and mortality risk: A meta-analytic review (B. J. Layton, Ed.). Retrieved from PLOS database. Ye, M., Du, K., Zhou, J., Zhou, Q., Shou, M., Hu, B., . . . Liu, Z. (2018, February 16). A meta‐analysis of the efficacy of cognitive behavior therapy on quality of life and psychological health of breast cancer survivors and patients. Retrieved from Wiley database.